Should I Live With Roommates or Live Alone? Is it best to live with roommates? Or is it best to live alone? There's no right or wrong answer to this question—and don't let anyone tell you otherwise. It's a personal decision that all apartment dwellers are entitled to make, and your answer should depend on what you want at the time you're looking to rent. 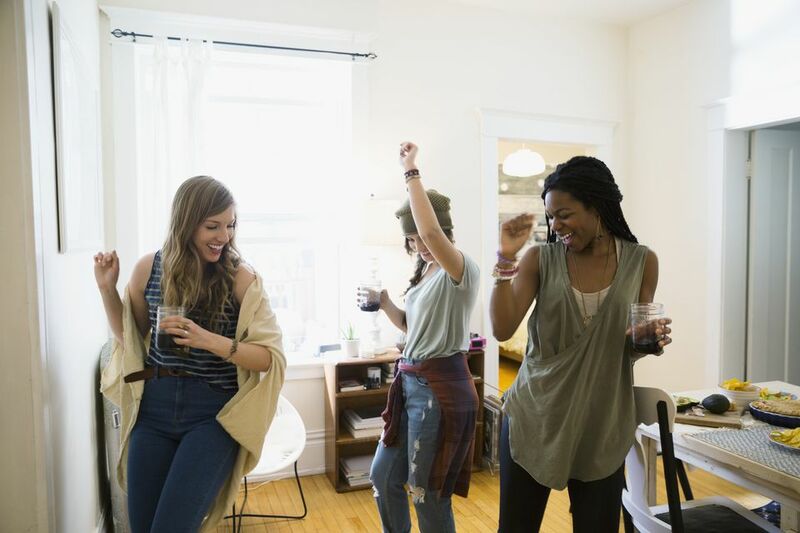 If you need help deciding whether to live with a roommate, consider the common reasons why people choose one route over the other. You won't be lonely: Even if you're not close with your roommate, having a roommate means having someone else around, so you won't have to feel lonely. You'll gain convenience: Having a roommate adds convenience. For instance, if you have different schedules, a roommate can feed your pet or water the plants when you're not at home to do it. If you go out of town, your roommate can tell you about any important mail you receive. You'll save money: When you have a roommate, you'll save money in several ways. First, you can rent a larger apartment that would give you both more room and more value. You'll also split utility bills and the cost of groceries, among other apartment expenses. Plus, if you or your roommate cooks (even if you do the basics), cooking for two (or three or more) normally saves money over cooking for just one. You'll have help: With a roommate, you can split the chores needed to keep your apartment in shape. So, you won't have to be the one to do grocery shopping all the time. Or, if you become the designated grocery shopper, your roommate can take on other errands that you would normally have to do. Sharing errands helps lighten the load for both of you. Many people appreciate the reasons in favor of having a roommate but feel that the reasons for living alone present a much stronger case. You want more privacy: If you live alone, you'll almost certainly have more privacy than if you live with others. Simply stated, not having roommates means you can do what you want when you want it. For instance, you can have guests over as you please or get home late and leave early without having to worry about disturbing a roommate. You don't want to risk problems: Although having a roommate can be a rewarding experience, there are many types of problems that may arise in a roommate relationship. These range from lifestyle conflicts (think of a roommate who likes to play guitar while you need peace and quiet to study or do work) to financial issues (think of a roommate who has trouble paying their share of the rent and expenses). Living alone is the only way to guarantee that none of these problems ever arises.